USB and 12V sockets are starting to become fairly common on modern bikes, making it siple to charge your phone or other devices on the go, but now Optimate has released the USB O-108 so riders of older bikes can also charge their phone on the go. 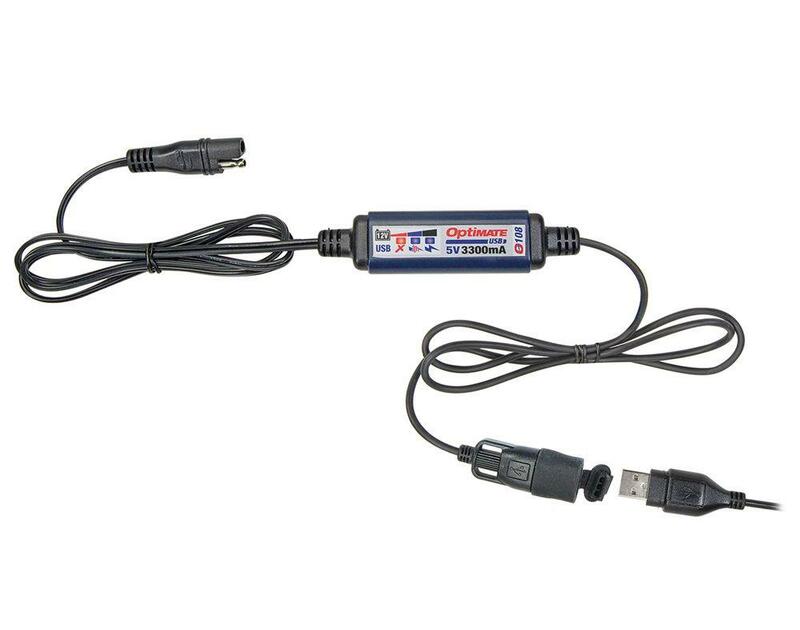 The Optimate USB O-108 delivers 3.3A, so it's powerful enough for the latest smartphones with USB-C charge connectors, and has built-in microprocessor controlled battery protection to prevent the motorcycle’s battery from being discharged. Charging is limited to a maximum of three hours, and the O-108 USB automatically cuts charging to the device if the vehicle’s battery voltage drops below 12.3V. An LED display enables the user to see the vehicle charging system voltage at a glance. They also come with a built-in Apple ‘handshake’, to guarantee iPhones and iPads charge at the appropriate maximum. Weatherproofing comes as standard, to prevent moisture causing problems and guarding against any issues they may cause with the bike’s electrical system.